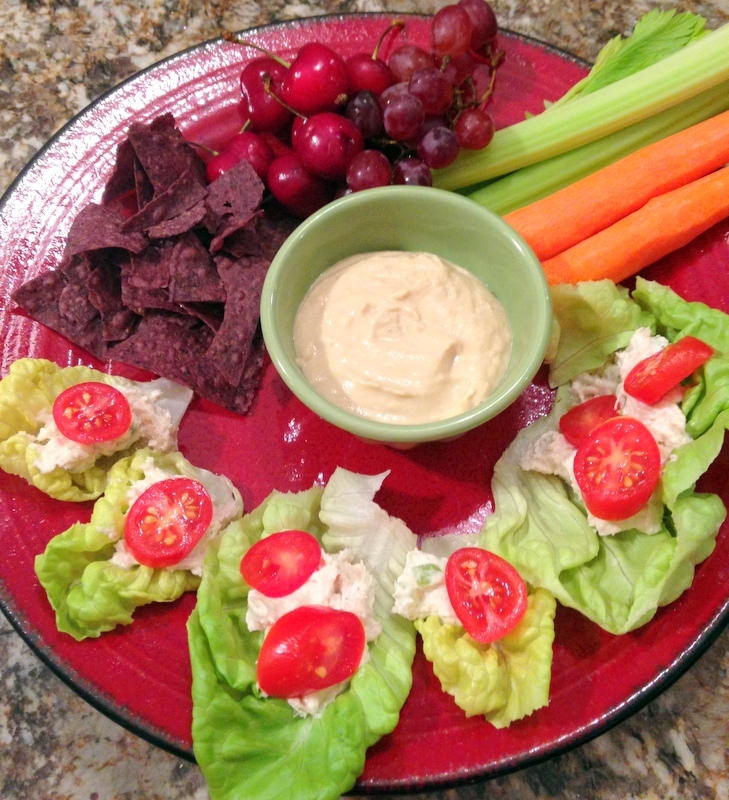 Chicken Salad and Cherry Tomatoes on Butter Lettuce, Hummus with Carrots and Celery (and a few blue corn tortilla chips), and Cherries with Grapes. My favorite lunch! Everything is so, so healthy! Go girl – keep up the excellent work. You are really inspiring 🙂 BTW, I just discovered your blog and absolutely love it. Thank you for sharing such awesome recipes – I can’t wait to try them out!